Yes, I know... this post is a few days late, but I hope everyone had a fantastically fun filled Halloween out there. Despite the evening getting off on the wrong foot ( E didn't want to wear his costume! ) 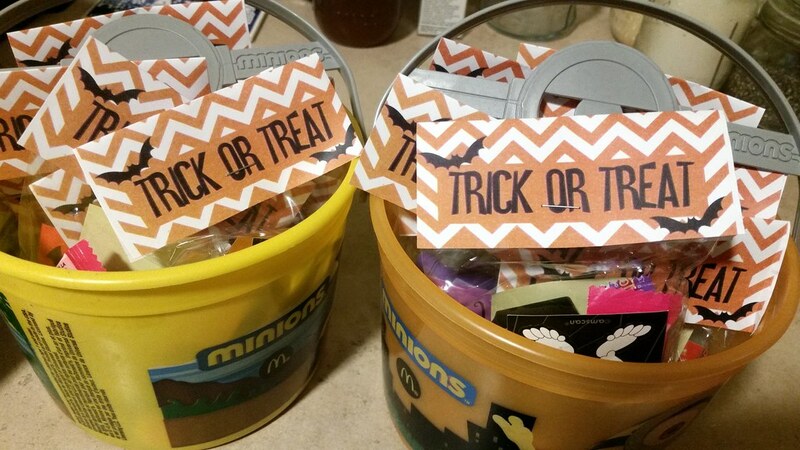 we got to enjoy a night filled with tricks or treats...well, really just the treats. 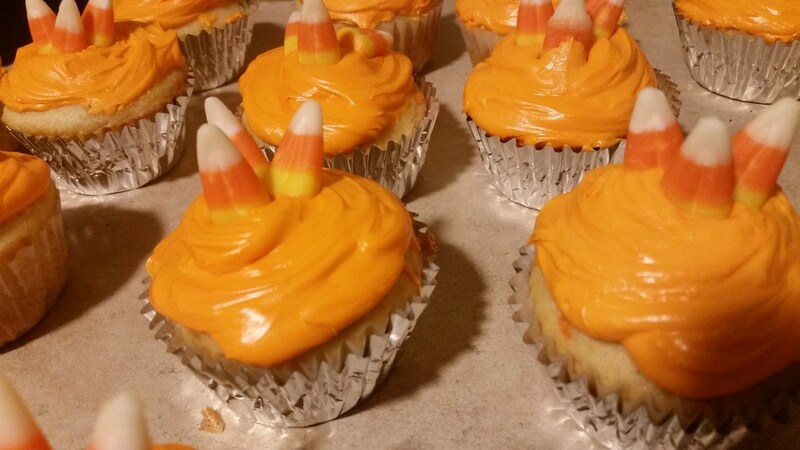 I spent the Thursday before baking lots of candy corn cupcakes, making chocolate covered pretzels, and filling treat bags with all kinds of goodies for Eamon's annual school party and putting the finishing touches on his costume. With a child who hates wearing anything on his head, I needed to make a few adjustments to what was to be the chain mail ( I think it is called a coif )and crown in order for it to fit just right. Come Friday morning, however, we chose not to send him to school in his "special" costume for fear of it getting ruined. Instead, he simply revisited his Doctor Who hat an scarf for the day, which was fine because it is still absolutely adorable. 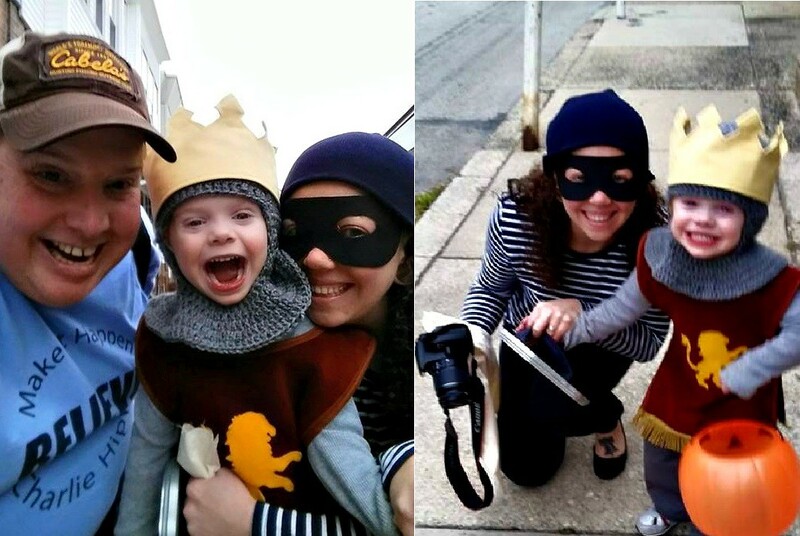 Although he was totally into wearing his hat and scarf all weekend, come Halloween night it took lots of coercing to get Eamon into becoming a knight. After promises that he would be seeing his friends trick or treating and mommy putting together a last minutes costume for herself (I was an old-time bandit like the ones Ralphie shoots in the Christmas story with his Red Rider BB gun - which is probably Eamon's favorite movie) he finally set up in his costume and we headed out for tricks or treats and a few visits to see friends and neighbors. We covered about seven or eight city blocks before his little feet tired out and he was tired of wearing his outfit. Even though the only candy he eats are plain chocolate bars (he has never actually cared for anything sweet), he was excited to dump his pumpkin of candy onto the floor and show off his treats. I was pleased at how the costume came out over all. The crocheted coif was a bit difficult to eyeball without a pattern, but when you're trying to save money for more important things, spending $30 on etsy for a similar hat just wasn't warranted since I could easily make it myself. The crown was actually made from the leftover fabric from the curtains I made for Eamon's room a little while back, so I lucked out having to but any more material. The next few hours were sparingly filled with kids looking for something sweet. 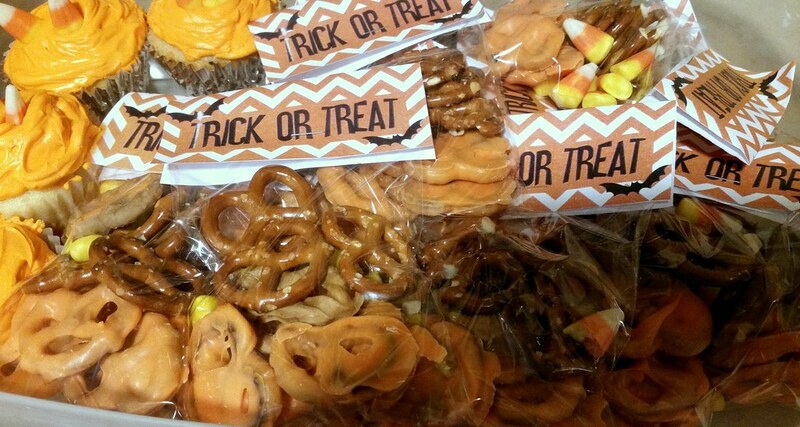 I made close to 200 treat bags and since Halloween was on a Saturday I though we would get swarmed with kids all evening. It was quite the opposite. Before sunset most of the young kids came out and by about seven o'clock the trick or treating was pretty much over (except for the ignorant teenagers demanding candy without costume). I was really disappointed in the lack of children and their obvious lack of enthusiasm in the whole holiday. Few kids really seemed "into it" and even fewer parents showed any effort. Lots of last minutes Spidermans and Batmans with very little in between. I feel really sad about this. Maybe it's living in the city that has turned kids away from the uniqueness and individuality of the holiday; maybe its lazy parents; maybe its a generation of entitlists being raised to expect heaping rewards with little to no work involved; either way, I hope that the rest of the world's Halloween doesn't become like this. You see lots of creativity in online posts and blogs, but sadly the reality of the holiday feels like quite the opposite. But enough of feeling like a Negative Nelly...it's time to start brainstorming for next year's costumes!